At the very center of Weirs Beach you’ll find the HALF MOON AMUSEMENT ARCADES. There are actually TWO arcades: a Penny Arcade and a Family Fun Center. Both arcades feature a large variety of video games, including the latest simulators; flashy pinball machines; antique games which you can play for a dime; and a tremendous assortment of prizes, which you can win by playing Skeeball, Skil-O-Bingos, and other redemption games. The prize assortment is, in fact, one of the largest you will find anywhere! There are over 1000 items in stock at any one time, and the prizes not only include items to please children, but also items for the discerning adult: electronics, NH souvenirs, housewares, beach items, and gifts. Why buy these items, when you can win them, and have fun at the same time! While each arcade has some of the same items, many other prizes are unique to each arcade. Be sure to check out the prize assortment in both arcades, as you can redeem your tickets and tokens for prizes in either one! There are over 120 different games in the Half Moon Penny Arcade! (There are multiple copies of some of the games.) To the right is a full listing of all the games, sorted by category. 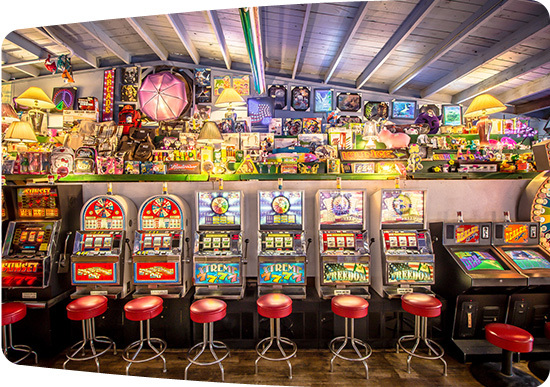 There are over 140 different games in the Half Moon Family Fun Center! (There are multiple copies of some of the games.) To the right is a full listing of all the games, sorted by category. Over the years, the arcade expanded tremendously in size. In 1957, the business doubled to become TWO arcades, when a new arcade building was built. (This building currently houses the Half Moon Bumper Cars.) In 1967, another, larger arcade building was built, and the “New” arcade moved next door, becoming the Half Moon Penny Arcade. Around 1980, the original arcade, which had existed continuously in the same location for 30 years, quadrupled in capacity, when it incorporated the location of the former bowling alley and became the Half Moon Family Fun Center. 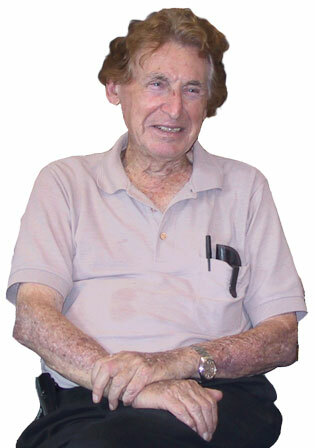 Mr. Ames was active in the business until the age of 92. He passed away on January 29, 2009. His three sons, Jeffrey, Michael, and Robert, now manage the arcades and the other Half Moon businesses. With over sixty years of experience in the arcade business, you might imagine the variety of machines you will find in the Half Moon arcades. That is, only the best of the best machines that make the grade will you find here!